Best Candy Eliquid 2016 for VAPY Complex Edition Nordic Candy! 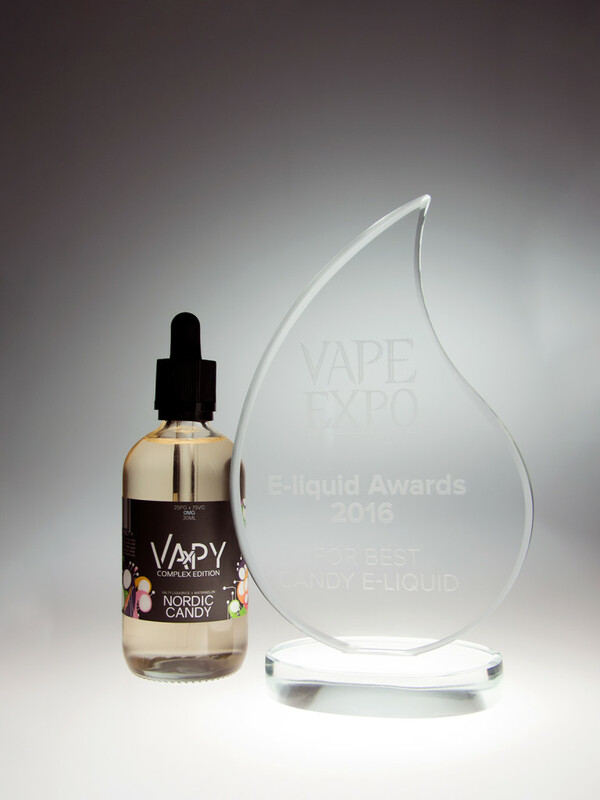 VAPY Complex Edition Nordic Candy has been awarded The Best Candy Eliquid 2016 during the Best E-liquid competition at the 2nd VAPE EXPO POLAND 2016. The winning e-liquid was praised for its unusual flavor mix that makes it a great all day vape. We have composed VAPY Complex Nordic Candy of ripe strawberry and juicy watermelon with salty liquorice giving it a nice, refreshing exhale. VAPY Complex Edition is a line of 12 exquisite flavor combinations. Manufactured using our highest quality NicBase nicotine bases and Molinberry flavorings VAPY Complex Edition is a fresh, new proposal for those looking for big coulds and unusual flavors! See you on the 2nd Vape Expo Poland! Second Vape Expo Poland takes place on the 9th and 10th September 2016 in Warsaw Ptak Expo venue in Nadarzyn. Following last edition’s model, first day is reserved for business visitors – a great opportunity for store owners, distributors, wholesalers and manufacturers alike to network, look for cooperation opportunities and exchange ideas. The organisers have also prepared a conference – prelections on topics such as “How to create?” or “How to invest” will run from 11:00AM to 5:30PM.